Excellent Introduction to Study of Minerals. 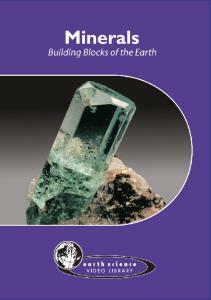 The intriguing world of minerals is presented in a concise DVD program showing how the arrangement of atoms determines the unique properties of minerals, how geologists collect and identify minerals, and how minerals provide us with the raw materials for many essential products we use everyday. It includes a teacher’s guide and glossary. Duration: 19 minutes.